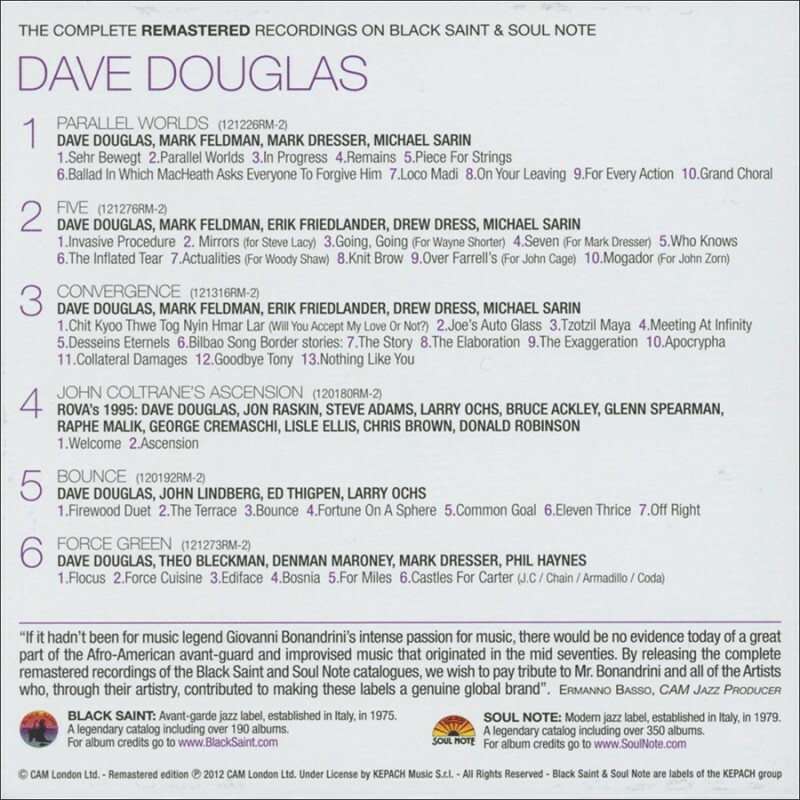 The Complete Remastered Recordings on Black Saint & Soul Note includes three of trumpeter Dave Douglas' albums with his String Group, as well as three albums by other artists on which he was featured. 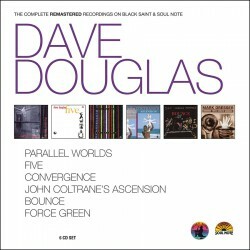 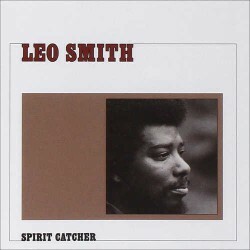 Included is 1993's Parallel Worlds, 1996's Five, and 1999's Convergence, as well as Rova's 1995 album John Coltrane's Ascension, bassist John Lindberg's 1998 release Bounce, and bassist Mark Dresser's 1994 album Force Green. 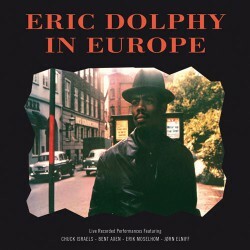 With over six hours of music, this anthology compiles much of the genre-crossing, exploratory modern creative jazz that brought Douglas to the attention of the greater jazz community.